It is happening… Again! 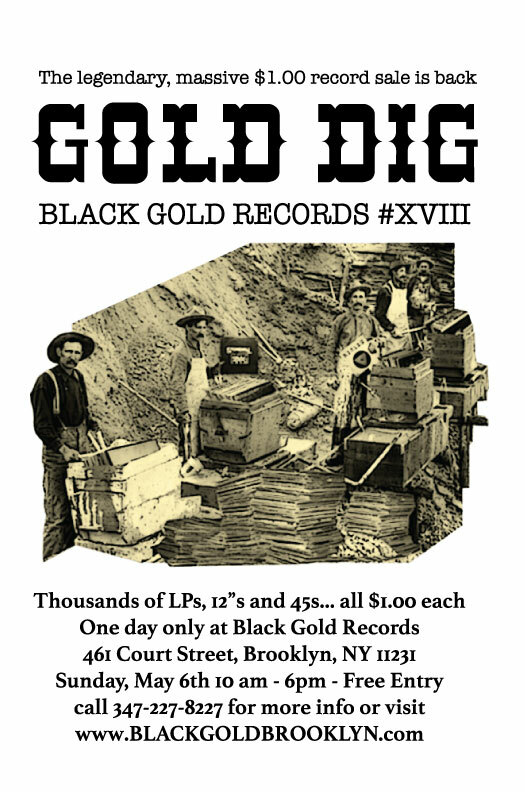 That’s right folks, the legendary Black Gold Gold Dig $1.00 vinyl record sale is back. Sunday, May 6th, we will be unleashing thousands upon thousands of new and (mostly) used LPs, 12 singles, and 45 rpm singles – each record priced at $1.00 each. The Court Street fair will be in effect that day too so the F or G train to Carroll Street station or Smith and 9th Street station would be an optimal way to arrive. The records we will be making available have never been sold in the shop and are slightly used, doubles, promos, white labels we didn’t bother to research, or things we couldn’t make heads or tails of. Of course, as always you will be able to find classics and obscurities in the giant batch. We predict at least 7,500 different titles this time (but the number is still currently growing). Jazz, Rock, indie rock, punk, metal, classical, blues, disco, dance, oddball, to name a few. We hope you’ll join us for this event, rain or shine, because we are certainly looking forward to the excitement! Q: How can I get more information about this? A: Call 347-227-8227 and ask for Jeff or Mike. Q: Can I come and see the records early? A: No. Sorry, We don’t even let the employees see the records before we open the boxes to the crowd. Q: Is this just the shop’s junk? A: No, we have other arrangements for our garbage. 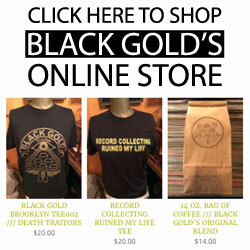 We buy record collections in huge bulk so we end up with a lot of great stuff over the months. Instead of researching or pricing these accordingly, we like to give back to our customers and make some new friends out of it. We ran out of room to take this stuff home. Q: Can I find records worth money in the boxes? A: This is our 18th sale of the kind and every single time multiple people are very excited about their finds. Rare test presses, autographed records, rare promotional records, and records not even available online or anywhere have been some of the finds in the past. Q: How many records can I buy? A: How ever many dollar bills you have. We can provide bags and boxes while supplies last. Q: Are all the good records gone early? Should I get there at 10am sharp? A: A lot of people show up a few minutes before 10am to get early dibs on stuff, but records go out all day so even late afternoon you’ll see some fresh stuff.